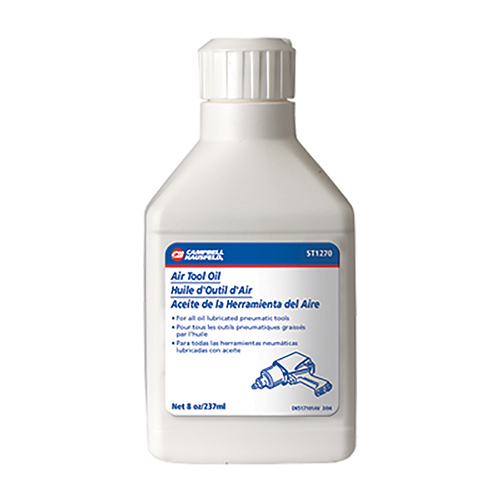 Campbell Hausfeld air tool oil (ST127001AV) helps prolong air tool life by providing vital lubrication. Specially formulated to maximize tool performance. Use daily by applying several drops in tool air inlet. 8-ounce bottle.